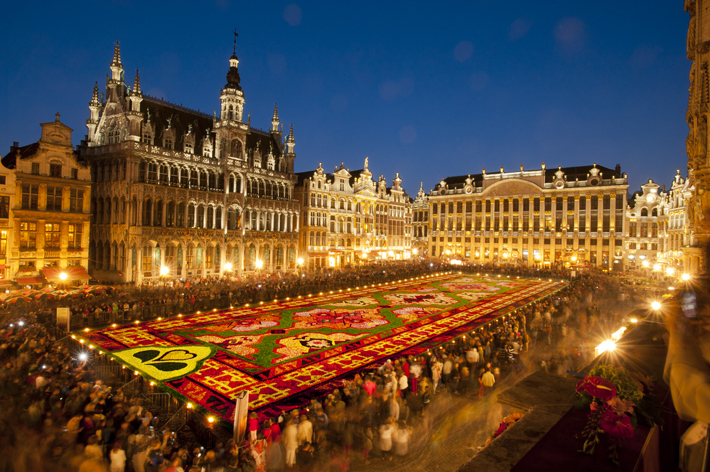 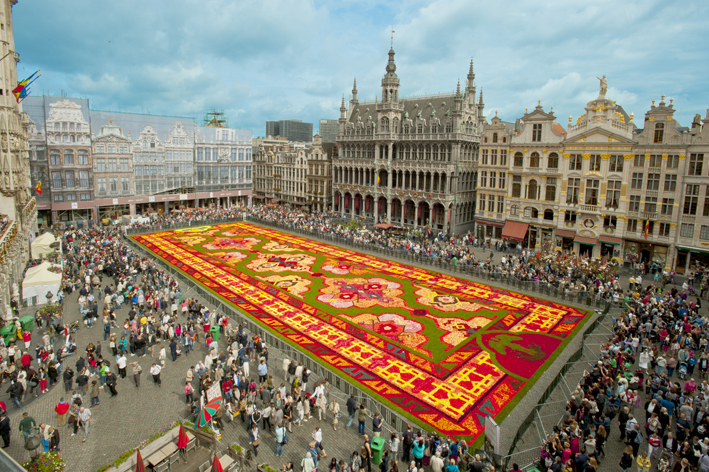 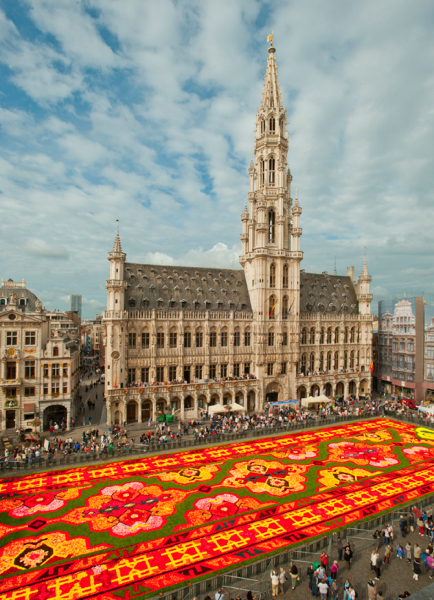 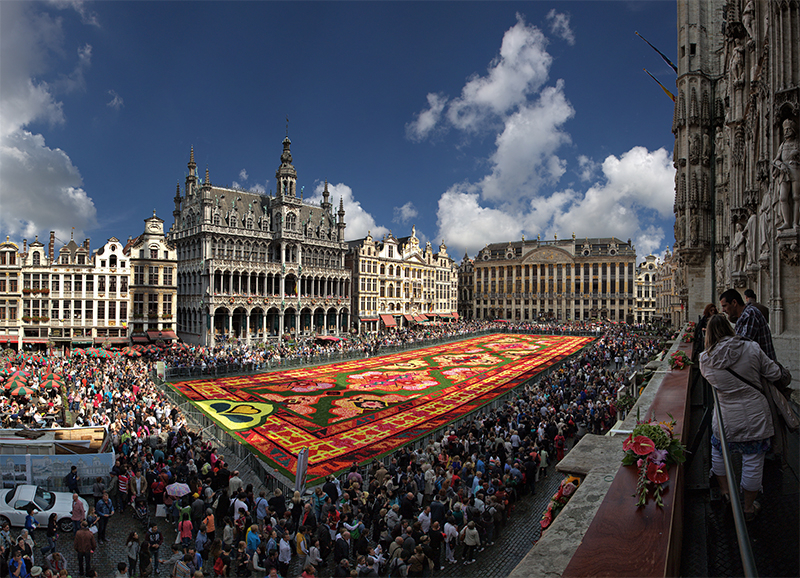 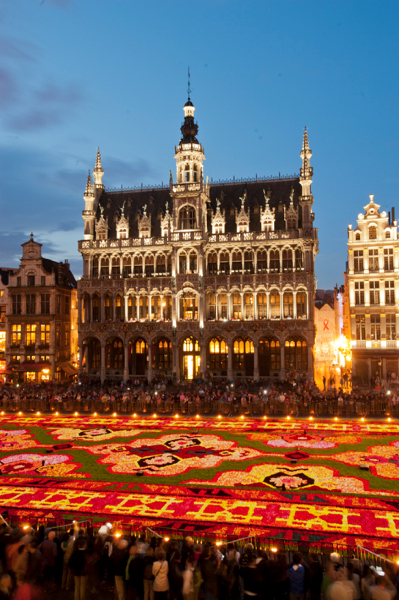 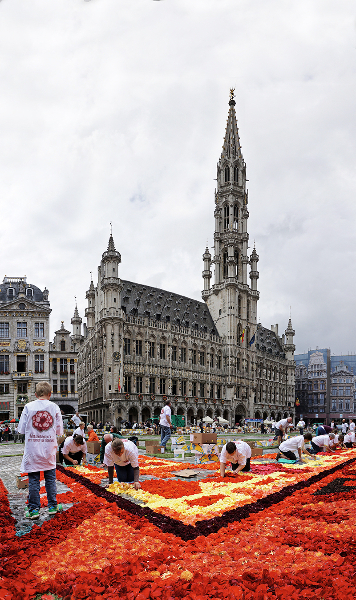 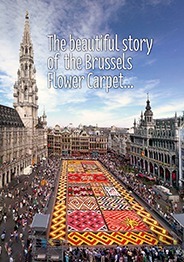 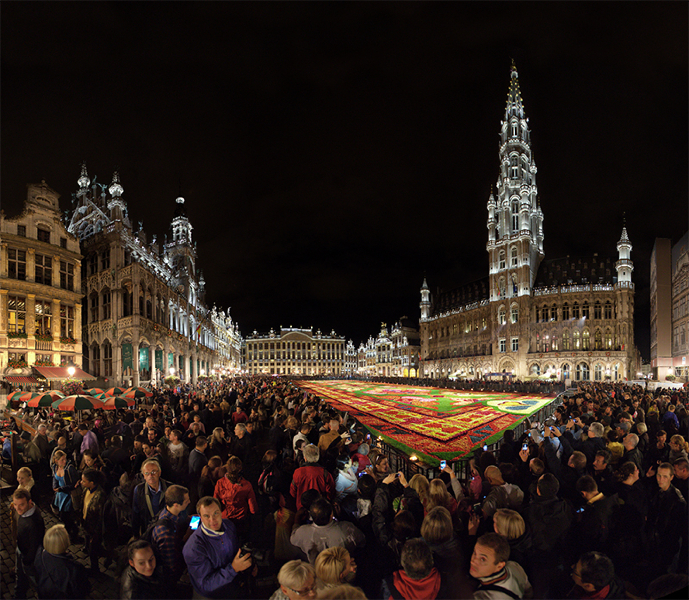 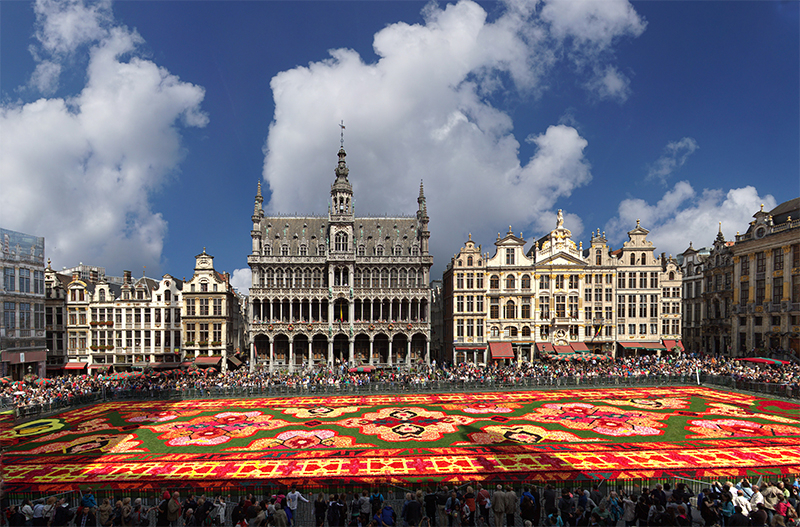 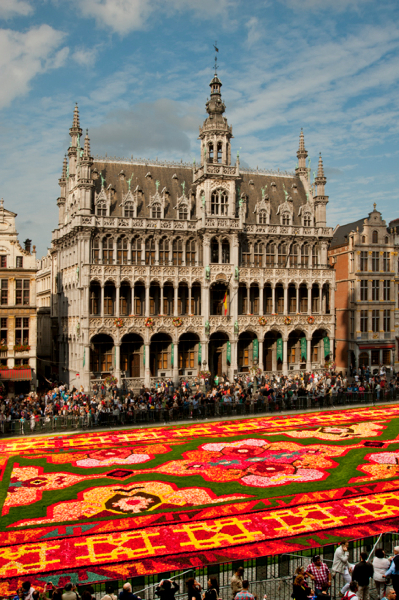 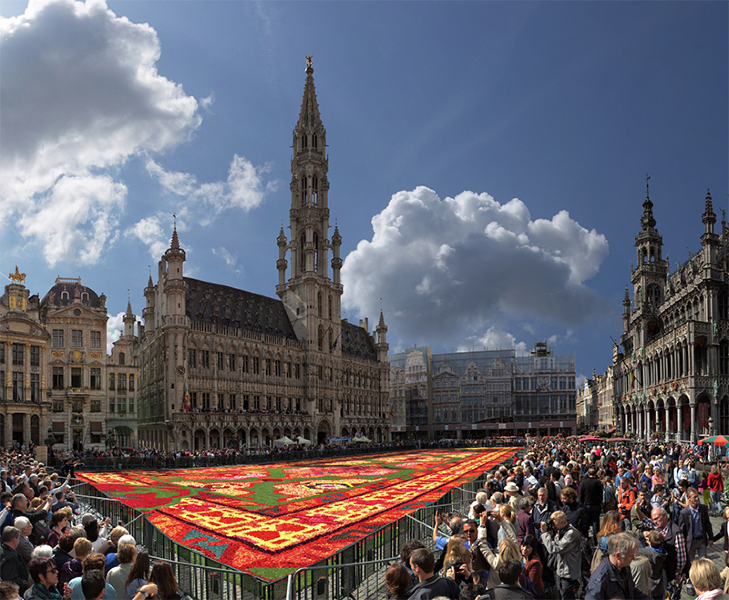 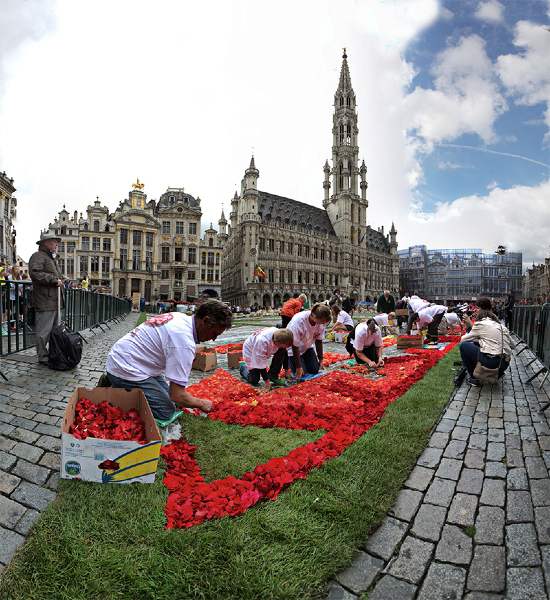 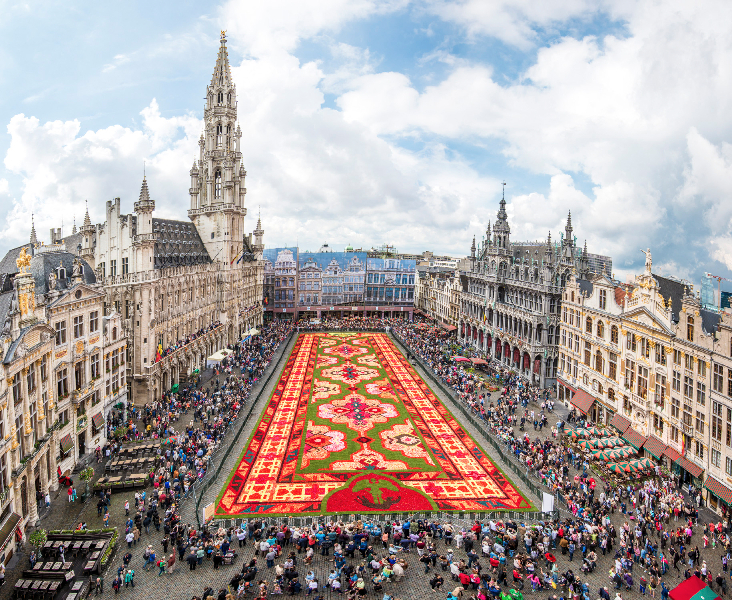 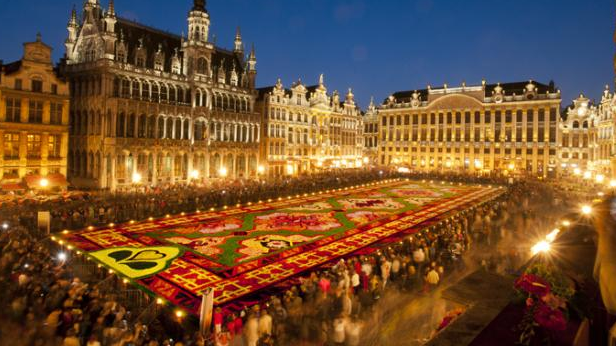 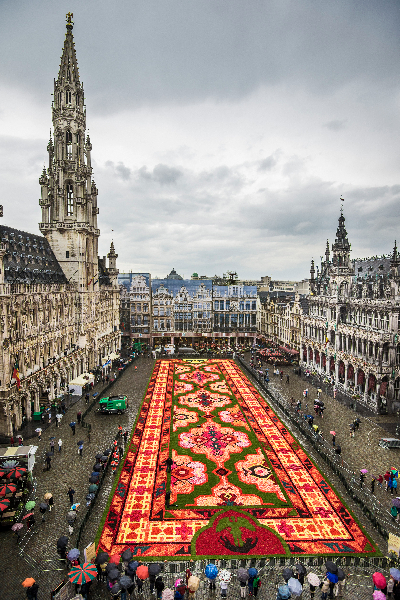 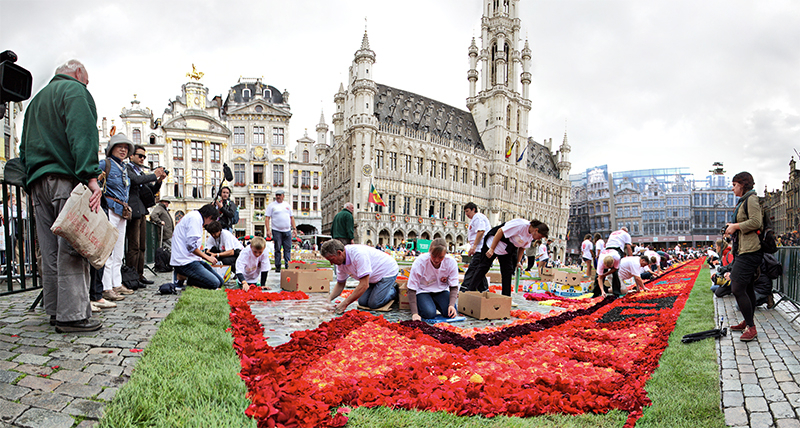 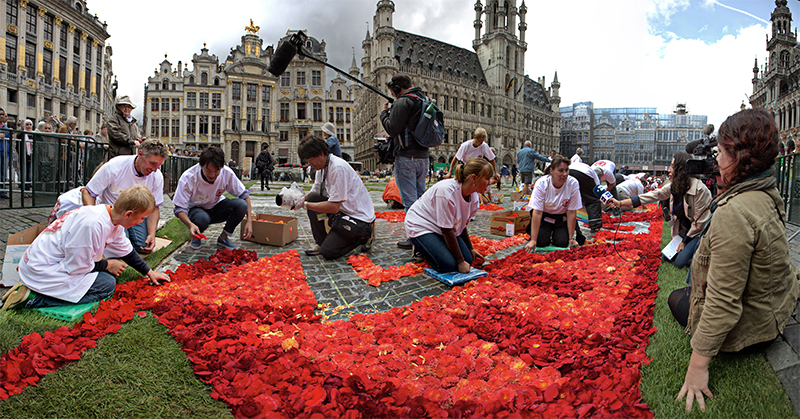 On the occasion of this 19th edition, the Flower Carpet of the Grand-Place has chosen to celebrate the 50th anniversary of Turkish immigration in Belgium. 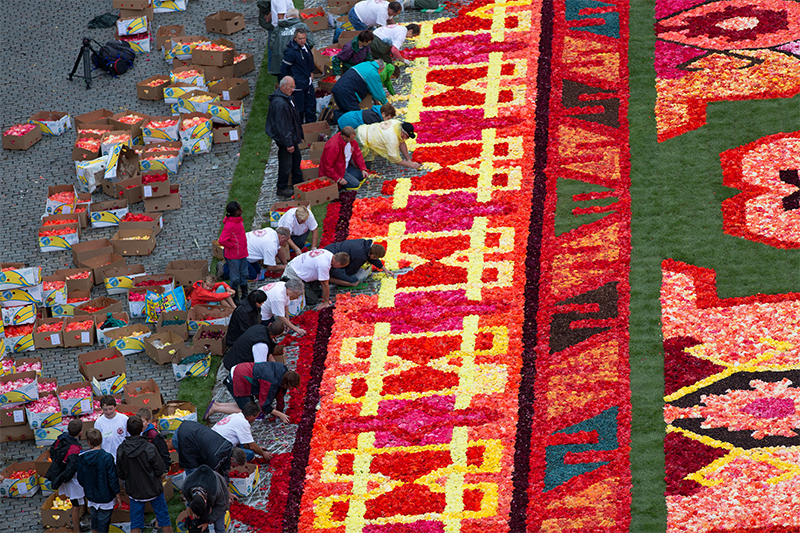 1,800 m2 of begonias (begonyas in Turkish) will make up an ephemeral tapestry inspired by the geometric patterns of Turkey's famous kilims. 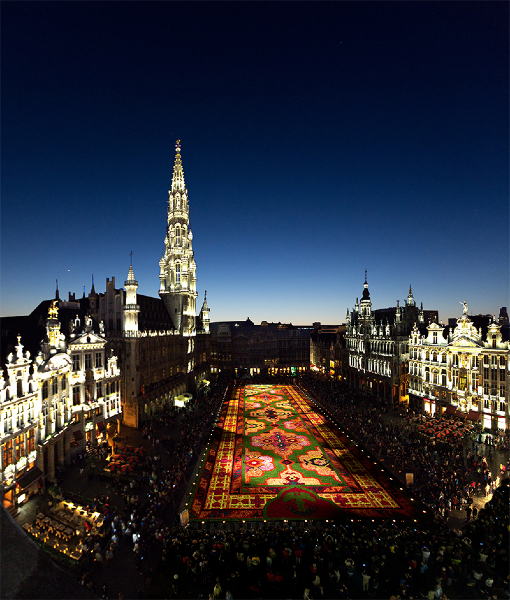 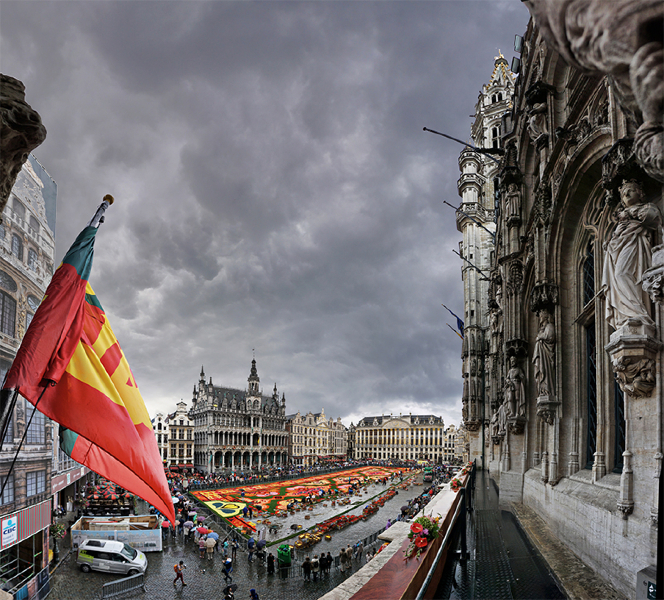 Visitors will have the opportunity to admire this astonishing display from 14 to 17 August 2014, to sense all its tones and all its nuances, whether from the Grand-Place itself or from above, from the balcony of the City Hall. 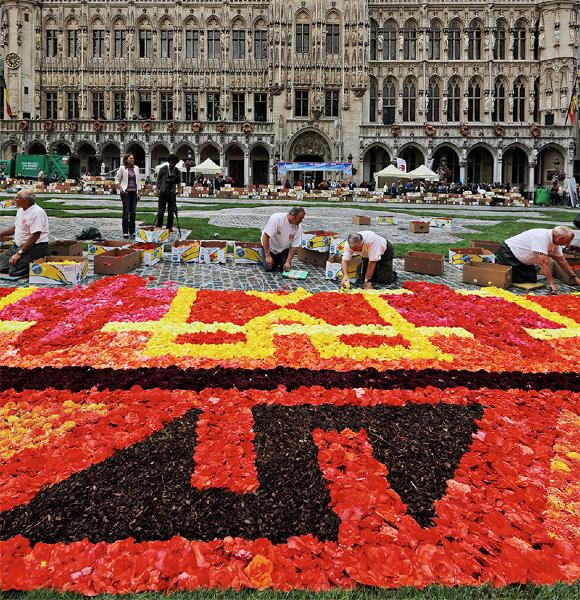 A magical masterpiece, colourful and scented, what better way to pay tribute to the Turkish community of Brussels!